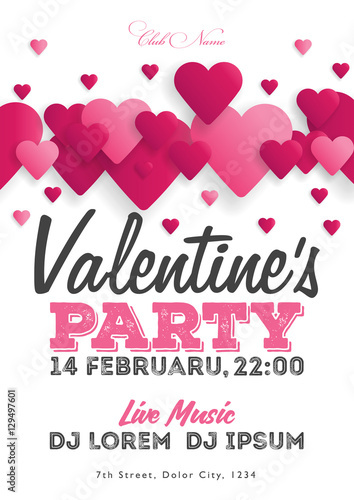 1.- Party design poster or flyer. 2.- Letter size poster Valentine’s Day Neighbors Party. 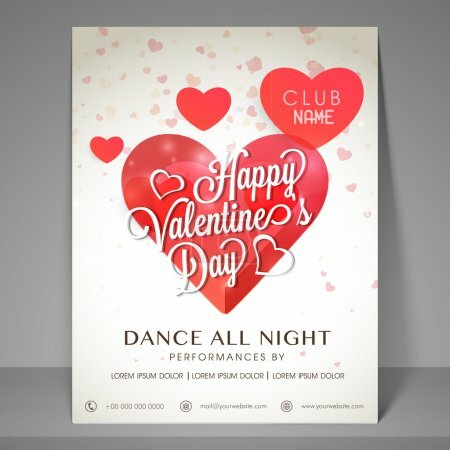 4.- Letter size poster of a Valentine’s Day Party. 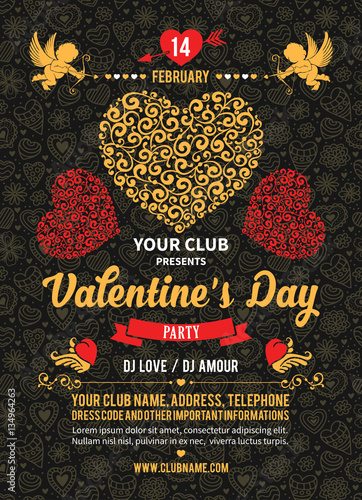 5.- Valentine’s Day party invitation flyer. 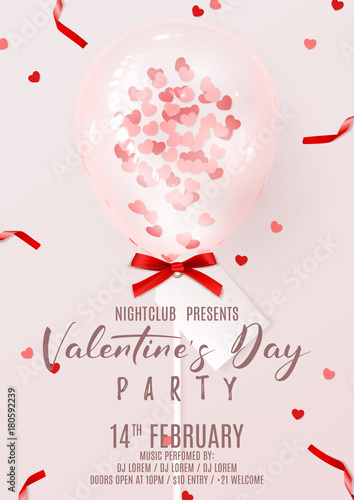 6.- Valentines Day party flyer. Purple and white note with pin. 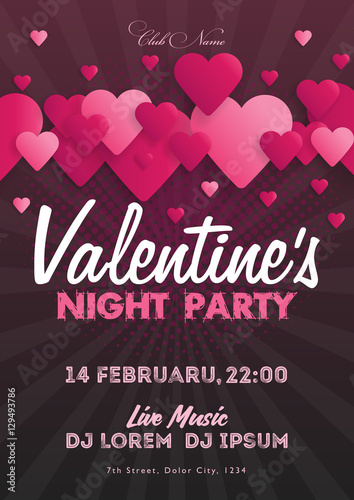 7.- Night party flyer for Valentines Day celebration. 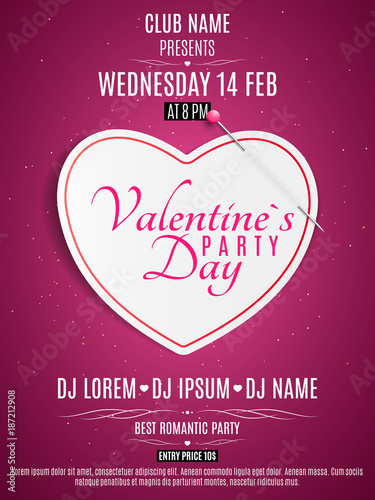 8.- Happy Valentine’s Day Party Invitation Flyer. 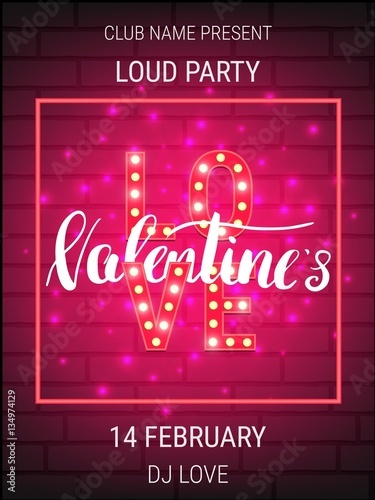 9.- Valentine’s Day party invitation with Lights Heart. 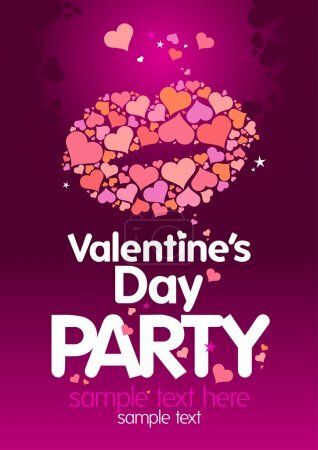 10.- Valentines Day Party design template. 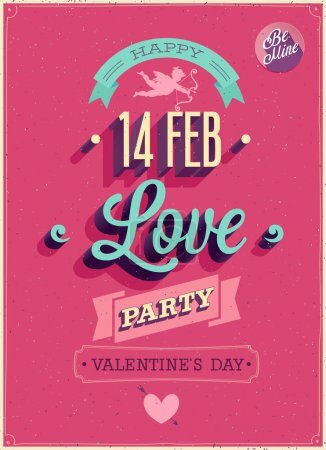 11.- Valentines Day party poster template with shiny lettering and calligraphy. 13.- Valentine s Day. Vector, celebratory background. 14.- Beautiful greeting or invitation cards with flourish pattern. 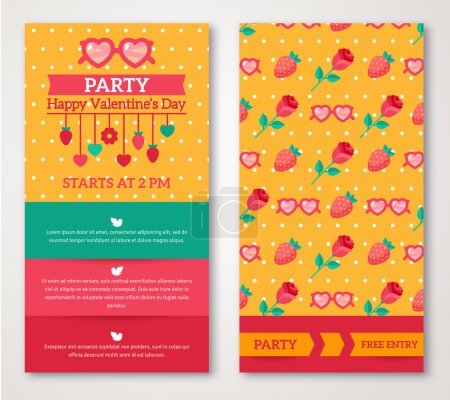 15.- Valentines Day Party greeting card or Flyer template. 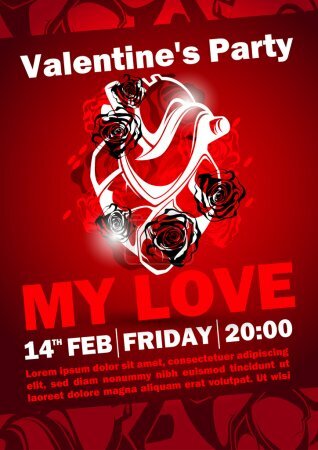 16.- Valentine’s Day party invitation flyer. 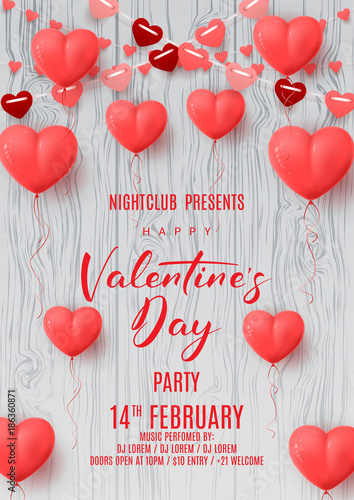 18.- Valentines Day Party Poster Design. 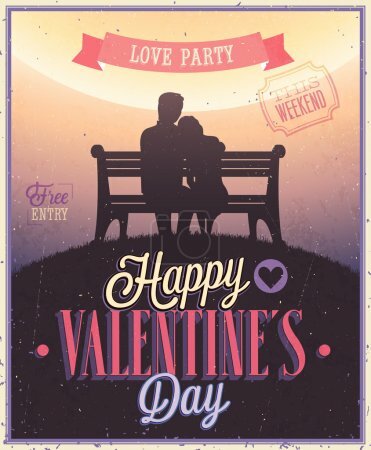 20.- Valentine’s Day Party Flyer. 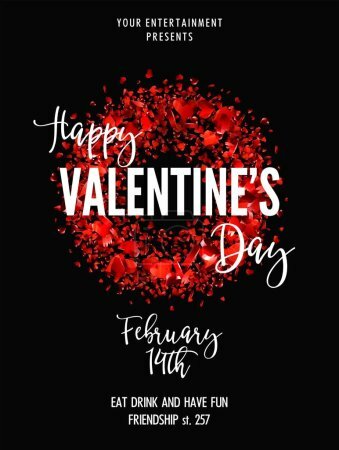 Next story 30 Valentine’s Day background looped video | Royalty-Free stock images, vectors & videos. 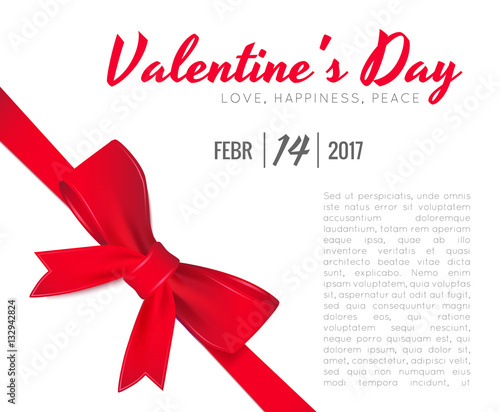 Previous story 20 Valentine’s Day Banner | Royalty-Free stock images, vectors & videos.